A camera crew stands outside the former Shepherd Hotel in East Jerusalem, which will be torn down for new housing. Jerusalem (CNN) -- In a move likely to further strain relations between the United States and Israel, the municipality of Jerusalem has given final approval for a controversial Israeli housing project in the heart of a Palestinian neighborhood in East Jerusalem. Approval of the project paves the way for construction of 20 apartments being developed by American millionaire Irving Moskowitz on land that he purchased in the Sheikh Jarrah neighborhood. Moskowitz, an avid supporter of Jewish building in East Jerusalem, purchased the land in 1985. To make way for the new housing units the historic Shepherd Hotel which was built in the 1930s by a prominent Palestinian family would be torn down. The Sheikh Jarrah neighborhood in East Jerusalem has become an area highly coveted by Jewish nationalists wishing to cement Jewish claims to the land, and it has become a fault line in the public debate about Israeli building in Arab areas of East Jerusalem. Every week hundreds of Palestinians, Israelis, and international activists stage protests in the neighborhood to protest Israeli government building policies. East Jerusalem was captured from Jordan in the 1967 war between Israel and its Arab neighbors. Israel claims sovereignty over all of Jerusalem, though this it is a claim not recognized by the international community. Palestinians want East Jerusalem as the capitol of their future state. 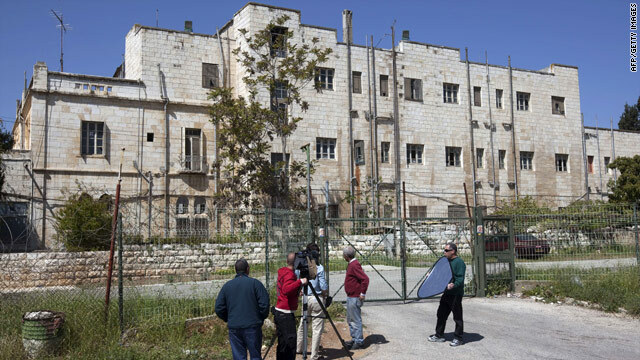 In a terse statement Wednesday, the Jerusalem Municipality argued the East Jerusalem construction was actually approved in July 2009 and that the owners of the land merely paid a necessary fee last week which generated an automatic approval for the project to proceed. "This is distorted media information in order to create a provocation during the Prime Minister's visit to the United States" read the statement. The building plan, which was given municipal approval last summer, was met with great disapproval from the United States which demanded that it be stopped. It was a demand, then as now, that fell on deaf ears. At the time Prime Minister Benjamin Netanyahu told his cabinet, "Our sovereignty over [Jerusalem] cannot be challenged. This means that residents of Jerusalem may purchase apartments in all parts of the city. We cannot accept the idea that Jews will not have the right to live and purchase in all parts of Jerusalem." Netanyahu echoed the same arguments in defense of the Israeli announcement two weeks ago to build 1,600 units of housing in a different East Jerusalem neighborhood. That announcement, made while U.S. Vice President Joseph Biden was visiting Israel, set off a diplomatic rift between the United States and Israel that both sides are still attempting to iron out. U.S. President Barack Obama and Netanyahu met Wednesday evening in Washington to discuss Israel's plans for new housing units in East Jerusalem. The leaders did not appear before cameras, and there was no sign of an end to the dispute. Nabil Abu Rudeineh, a spokesman for the Palestinian Authority, called the approval "an intentional insult to the U.S. administration" and works against "any serious indirect or direct negotiations" between Israel and the Palestinians. Rudeineh said the Obama administration "should put enough pressure on Israel to implement what has been written and issued by the Quartet in Moscow several days ago." On Friday, the Middle East Quartet, the United States, European Union, the United Nations, and Russia, called on both sides "to refrain from proactive actions" and for Israel to freeze all settlement activity in an effort to promote peace talks.